BOILING SPRINGS -- Gardner-Webb travels 42 miles south to face Southern Conference member Wofford (1-2) on Saturday, September 26. Kickoff is set for 7:00 pm sharp in Gibbs Stadium, with an online broadcast set for the SoCon Digital Network. Fabian Fuentes and Alex Guest will bring the action into cyberspace as well on wgwg.org, the online home of Gardner-Webb University athletics. Gardner-Webb and Wofford will meet for the 25th time, with the Terriers holding a 16-8 edge in the all-time series ... 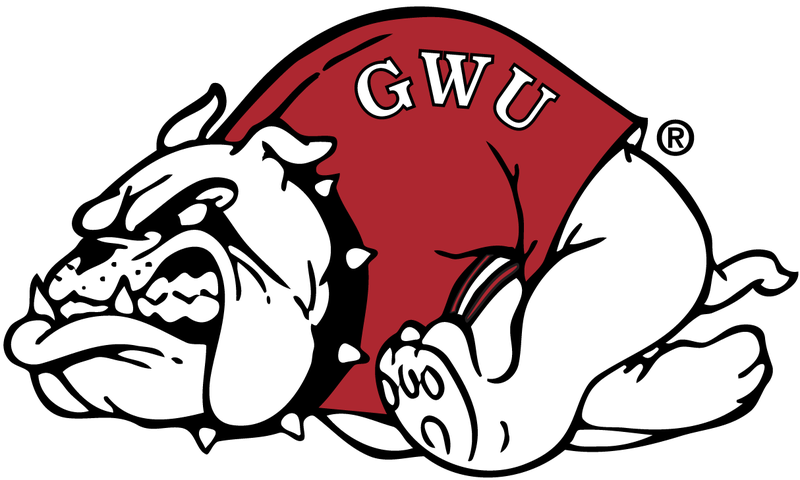 The two programs first met as NAIA members in 1972 and have also played as members of NCAA Division II and now NCAA Division I (FCS) ... GWU has taken the last two meetings, winning 3-0 on September 21, 2013 in Spartanburg and 43-36 last September 26 in Boiling Springs ... The two-game streak is the longest for GWU in the series ... Wofford won six meetings in a row from 1994-2012 ... The two teams did not play from 1995-2003, with Wofford making the jump to NCAA Division I ... Gardner-Webb made the move up prior to the 2000 season. Gardner-Webb head coach Carroll McCray (Class of '83) returned to his alma mater in 2013 and has forged a 12-15 record so far in his time in Boiling Springs. Wofford head coach Mike Ayers is in his 28th season in charge of the Terriers and has won 183 games during that time. That includes eight total NCAA playoff appearances. Gardner-Webb starting quartet at linebacker has been as impressive as expected through three games. The foursome of Tanner Burch (6-3, 248, RSr. ), Aaron Cook (6-1, 233, Jr.), Chad Geter (6-2, 242, RJr.) and Azziz Higgins (6-2, 230, Sr.) have combined for 112 total tackles, 11 tackles for loss and 1.5 sacks through three games. Each of the four men has at least one game with 10 or more tackles – with Burch (12 hits), Cook (10 hits) and Higgins (10 hits) all doing so against Elon. Geter had nine tackles against the Phoenix after leading the team with 10 at South Alabama. Cook had 14 total hits vs. Virginia Union and leads the Big South with 33 total tackles. Gardner-Webb's defense faced an unenviable task against a game Virginia Union squad on September 19, as the Panthers ran 19 offensive snaps inside the GWU 10-yard line in the game. The Runnin' Bulldogs were up to the task, despite facing an offensive line that averaged a mammoth 6-5, 321 pounds per man. Virginia Union did not score on those 19 snaps, with its lone touchdown coming on a 4th-and goal from the 13-yard line in the fourth quarter. GWU had a goal line stand on 4th down from its half yard line in the second quarter and forced a fumble on third-and-goal from the one in the third quarter. A stop on fourth down at the four-yard line with 1:54 left sealed the game. Gardner-Webb ranks fifth nationally after three games in red zone defense, leading the Big South by allowing just a 44 percent success rate. GWU has allowed just two touchdowns in nine red zone chances, both through the air. That 22 percent touchdown success rate is also tops in the Big South Conference to date. The Runnin' Bulldogs will have a significant challenge in the red zone Saturday. Wofford is tied for the national lead in red zone offense, converting all nine of its trips inside the 20 so far (six touchdowns). Hampered by injuries on the offensive side of the ball against Virginia Union, Gardner-Webb battled with eight true freshmen seeing extended snaps offensively and two more redshirt freshman also seeing their first action of the season. Receiver Adonus Lee (6-4, 215, Fr.) and tackle Will Millikan (6-4, 288, Fr.) each started, with Lee earning his first start of 2015. Quarterback Brody Rollins (5-11, 175, Fr. ), running back Josh Bettistea (5-11, 175, Fr.) and running back/receiver Jonathan Blackmon (6-0, 190, Fr.) each saw their first action of the season. Rollins ran 14 times for 69 yards, and driected two scoring drives – one that Bettistea capped with an 11-yard touchdown on his first career carry. Bettistea, a highly-recruited back, led Cobb County (Ga.) in rushing as a junior in 2013 and was a first-team Class 5A All-State selection at Alatoona (Ga.) High. Gardner-Webb stopped Virginia Union three times inside its own 5-yard line and used a pair of Paul Schumacher field goals to beat the Division II Panthers, 13-9, Saturday night in Spangler Stadium. Virginia Union entered the game with 23 Division I transfers on its roster, including men who had played at Syracuse, Louisville, UCF, Virginia and Virginia Tech, and had won nine of its previous 12 contests. Playing without starting quarterback Tyrell Maxwell, GWU got a second-quarter lift from true freshman Brody Rollins, who led a pair of scoring drives for a 10-0 lead at the break. After Virginia Union recorded a third-quarter safety, Rollins moved GWU into field goal range again, and Schumacher's 40-yarder put the 'Dogs up 13-2 with just over 12 minutes left in the game. A wild final 10 minutes saw Virginia Union score on 4th-and-goal from the 13 and advance all the way to the GWU five-yard line before cornerback D.J. Allen made a tackle on fourth down with 1:54 left to end the threat. Gardner-Webb fought tooth-and-nail at FBS foe South Alabama on a muggy evening in Ladd-Peebles Stadium, but fell to the Jags by a 33-23 score. The Runnin' Bulldogs scored 16 unanswered points to span halftime – taking a 16-13 lead with 10:21 to play in the third quarter on Angel Guzman's 21-yard interception return for a score. Laron Glenn had trimmed the South Alabama lead to 13-9 just before halftime with a safety. South Alabama answered with 20 points in a row, getting scores of 56 and 92 yards from speedster Xavier Johnson to take control. The Jags used the big play effectively against GWU, scored all four touchdowns from at least 49 yards away – and totaling more than 60 percent of their offensive total on just those four plays. Tight end Mike Estes (6-4, 240, RJr.) has been strong early in 2015, already tying his previous career-high with three touchdown catches. He hauled in four passes for a career-best 89 yards and two scores in the season opener, with a 48-yard scoring catch from Tyrell Maxwell early in the second quarter providing an early highlight. He also had a diving grab for 24 yards and hauled in a five-yard touchdown on GWU's final drive. All four of his catches against the Jaguars went for first downs. Estes followed with five catches for 33 yards and the game-tying score vs. Elon with no time left in regulation. The Raleigh, N.C., native now has 62 career receptions for 814 yards and six touchdowns. Preseason All-America and STATS FCS Defensive Player of the Year Watch List member OJ Mau (6-2, 319, Sr.) has been solid through three starts in 2015. Matched up against one of the top centers in the FBS in week one, Mau came away with two solo stops and a half tackle for loss. The Big South's Preseason Defensive Player of the Year followed with six hits and 2.5 tackles for loss in another strong performance against Elon and had 2.0 tackles for loss and a sack against Virginia Union. He has collected 25.5 tackles behind the line for his career. Gardner-Webb's coaching staff has garnered significant experience – both as players and coaches – at the highest level of college football. Head coach Carroll McCray has spent time at both South Carolina and Mississippi State as offensive line coach. Defensive coordinator Randall McCray spent time at South Carolina as a graduate assistant, and has been a position coach at both Wisconsin and Pittsburgh. The younger McCray also worked as defensive coordinator at Middle Tennessee State, among other Division I stops during his career. Running backs coach Brett Hickman worked as a graduate assistant at East Carolina. Quarterbacks coach Brett Nichols played at South Carolina, receivers coach La'Donte Harris played at Clemson, assistant head coach / offensive line coach Kenny Ray played at Southern Miss and defensive line coach Issac Mooring played at North Carolina. Often overlooked with the hoopla surrounding Gardner-Webb's front seven is its secondary, which has performed well through three games this season. Starting corners Ivan Toomer (6-1, 199, RSr.) and Angel Guzman and safeties Spencer Havird (6-2, 192, RSo.) and Adam Johnson (5-8, 181, RSr.) have spearheaded an effort that has Gardner-Webb currently ranked 16th nationally in pass defense (155.0 ypg) and 19th in pass efficiency defense (105.49). Havird has posted 24 stops (16 solo), four pass break ups, one pick (26 yards) and a forced fumble from his free safety post. Guzman has a pick six to his credit and recovered a goal line fumble in Week Three. Toomer has swatted away three passes and Johnson has a 24-yard interception return to his credit. Reserve corners Jonathan Sherrill (6-3, 205, Sr.) and D.J. Allen (6-3, 210, RFr.) have exceptional size and have each made big plays already in 2015. Reserve safeties Trey Lucas (5-11, 197, RSo.) and Thomas Adams (6-2, 196, RSo.) have combined for 14 stops and Lucas forced a key fumble vs. Virginia Union. Newcomer Robert McKoy (5-11, 190, Fr.) has also shown flashes of early potential at safety. Saturday's Gardner-Webb/Wofford tilt will be played on the same field as the annual Shrine Bowl of the Carolinas, an event that pits the top high school talent from North Carolina and South Carolina each December. Gardner-Webb has five former Shrine Bowlers on its 2015 roster: linebacker Aaron Cook (6-1, 233, Jr.) from Strom Thurmond (S.C.) High; offensive guard Dylan Hopper (6-4, 300, Sr.) from Crest (N.C.) High; quarterback Tyrell Maxwell (6-2, 213, So.) from Edisto (S.C.) High; safety Robert McKoy (5-11, 190, Fr.) from Scotland County (N.C.) High and linebacker Quinton Patterson (6-1, 245, RSo.) from Crest (N.C.) High. Patterson, who transferred to GWU after one season at NC State, was named Defensive MVP for his performance in 2012. Quarterback Tyrell Maxwell (6-2, 213, So.) became the first new starter at the quarterback position in 35 games when he took the first snap at South Alabama on September 5. Recruited by both Georgia Tech and Missouri as a cornerback, Maxwell was rated as the No. 31 dual threat quarterback in the prep class of 2014 by ESPN.com, and was effective as both a runner and passer in his starting debut. Maxwell became the first Big South quarterback to rush for 100+ yards and pass for 100+ yards against an FBS foe in league history when he went for 132 through the air (2 TD) and 102 on the ground agains the Jags (Sun Belt) – a team that was a bowl participant last season. Maxwell was the first Gardner-Webb quarterback to accomplish the feat overall since Nick Roberts did so against UT-Martin on September 24, 2005. Gardner-Webb will enjoy an open date next weekend and will spend the time off preparing for the Big South opener on October 10 – a home game against 10th-ranked Liberty. That game will air live on ASN as the Big South's Game of the Week, with kickoff set for 7:00 pm in Ernest W. Spangler Stadium.